How to write best CV and a Cover letter - The CV is not a magic wand. It will not suddenly be the solution to all our problems. But for those who do find themselves affected by this economic climate, or for those who simply feel it is time for a change, the CV is an important marketing tool. 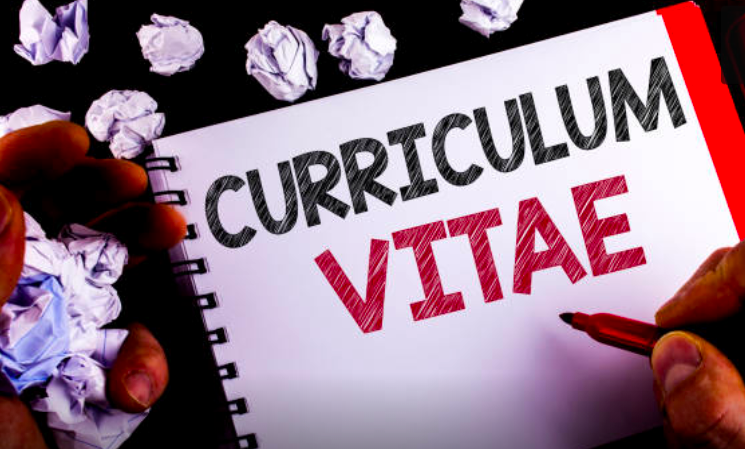 The purpose of a CV is to inform briefly the reader of a number of points about yourself while the aim of the CV is to do more than simply inform the reader of your life to date. The objective of a CV is not to get you a job or to win you a contract, but to get you an interview or meeting. The CV plays a central role in getting you from where you are to where you want to be. Avoid information overload - when you write your CV, make sure it is relevant, detailed, easy to read and follow. It should highlight the skills you have developed both in and outside of work (or education/training). Therefore, it is always good to take some time to understand yourself and analyse the skills you have developed in your life. Knowing yourself better - when you write your CV, try to take some time to ask questions to yourself such as How do you feel about having to sell yourself? Why do you think, you have achieved something which distinguish you from others? etc. Identify your capabilities and skills - Do you have skills such as Listening to others, Encouraging others, Resolving conflict, Motivating people, Teaching/training others, Organising people, managing yourself, leading others, decision making and problem solving skills. If yes, try to write examples 'how and when did you lead others to achieve the specific project and what was the outcome? How do you think you are a good listener? etc. Analyse and evaluate your capabilities and skills - When you have identified your skills with examples, try to analyse and evaluate them. For example, how can you analyse and evaluate your decision making and problem solving skills? A business graduate who has combined academic study alongside a successful placement with a major blue chip company. Gained experience managing and motivating others whilst directing student theatre production. Ambitious and enthusiastic, with a mature approach to life. What skills you have developed. What knowledge, understanding and skills you have developed. The inclusion of references is optional. References may be seen as irrelevant at this stage of the application. However, you may be able to include a well respected and well known individual who would impress the reader. Styles of CV - Which approach to take? Your career history shows natural progression and growth. You’re staying in the same field of work. You have worked for well known companies with good reputations. Your previous job titles are impressive. facts and figures that help sell you (eg managed a team of 14 staff, working to a budget of £250k). So if your career to date emphasises continuity and progression and you have worked for well known employers, this style may well be best for you. This style of CV highlights your main skills and strengths and does not place so much emphasis on who you worked for and what your job title was. The functional CV offers greater flexibility on how you present yourself than a chronological CV. You want to emphasise skills and strengths not necessarily acquired through paid employment. Your career to date consists of a number of jobs, most of which are unconnected. You want to change careers and therefore your present position may be of no relevance to your future ambitions. You want to emphasise skills and achievements from previous work experience which were not required in your most recent position. You are entering the jobs market after a break or for the first time. Most of your work has been freelance or you have worked on a number of temporary assignments. You are self employed and want to present to clients the range of areas in which you have experience. This style can be used when sending your CV on a speculative basis, as it gives a brief overview of the range of your skills, rather than simply emphasising what you have done in your most recent position. For this reason it is also useful when contacting agencies who may wish to consider you for a number of positions. This style of CV, as the title suggests, is best to use when you are aiming for one specific type of job. As such, the CV can only be written with the job in mind. Although much of the content of the CV may be the same as used in the previous styles, this one will be tailored accordingly. Greater emphasis will be given to detail that relates specifically to the job in question. The CV plays a central role in getting you from where you are to where you want to be. Therefore, your CV must look good visually and be easy to follow. Whichever style you prefer, always remember your aim is to give the reader what they want to read. A targeted CV can be a combination of functional and chronological CVs. However, all detail included will be written with a clear objective in mind, as opposed to a general overview. You are now well on the way to having a CV that will arouse interest in the reader and win you interviews. So why do we need a covering letter to go along with it? Your letter can further tailor your application by expanding on certain points from your CV. A professionally presented letter adds to the overall impact of your CV. As you can pay to have your CV done by an agency, some companies place greater emphasis on your letter, as it is more likely to be all your own work. Taking the trouble to write a letter further highlights your interest in the position. How can I get skills with Cambridge Management and Leadership School's Qualifications? Cambridge Management and Leadership School (CMLS) provides students with an online learning platform. In the Online Learning Platform, you can study any qualification. Our qualifications (short courses, undergraduate and postgraduate) are developed on the latest occupational standard to equip you career related personal and professional development skills to get a new job or job progression in the existing/new company. For example, if you study our Level 6 Graduate Diploma in Business Administration, you you will be able to develop skills such as Acting assertively, Analysing, Assessing, Communicating, Decision-making, Evaluating, Information management, Problem-solving, Researching, Setting and implementing objectives, goals and plans, Risk management, Time management, Negotiating, Consulting, Interviewing, Planning, Monitoring, Reviewing, Valuing and supporting others, Thinking systematically, and overall management and leadership. Our e-learning platform exactly like a campus-based. However, you don’t need to leave your job to attend Cambridge, UK. You can study from anywhere in the world whether you live in London or Chicago, India or Turkey, Germany or Russia – you will experience the same. 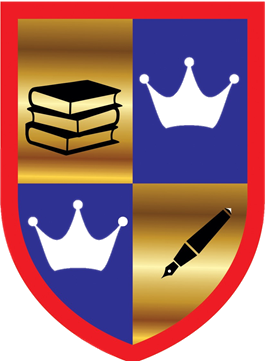 Our curriculum, assessment and support for your will remain the same. You can learn while you work in a flexible environment with our administrative 24/7 support. Not only this, you are also saving a substantial amount of money (from travelling, campus based cost and accommodation etc.) at least 60% overall campus-based programme fees.